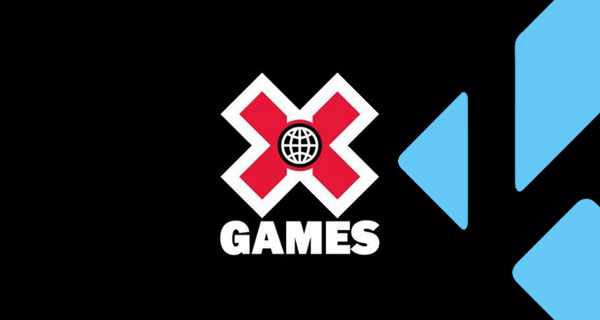 Here’s how to install X Games Kodi addon on your existing Kodi 17 / 17.6 installation. This process should work regardless of the platform or hardware that the Kodi installation is running on. If you love nothing more than the consumption of X Games, including the events and its competitors, then it makes sense that this could be the add-on that you need. Using this add-on will instantly get you a growing library of high-quality content which instantly satisfies your cravings for this type of adrenaline-fueled action. Let’s jump right in and take a look at the process involved. Step 1: First of all, with your Kodi instance running, select the ‘Settings’ icon from the home screen and then select System settings. Select Add-ons to get access to the settings pertaining to this section. Step 2: Locate the Unknown sources option. Make sure that the toggle switch at the side of the option is toggled into the On position. Step 1: First of all, launch Kodi and select the ‘Settings‘ icon followed by File manager. Once inside, select the Add source option. Select OK and then enter a name for this source. We will call this Rock. Select OK once again. Step 3: Head back a few steps to the Kodi home screen and select the Add-ons option and then choose the add-on browser icon which is a small opening box image. Select the Install from zip file option. 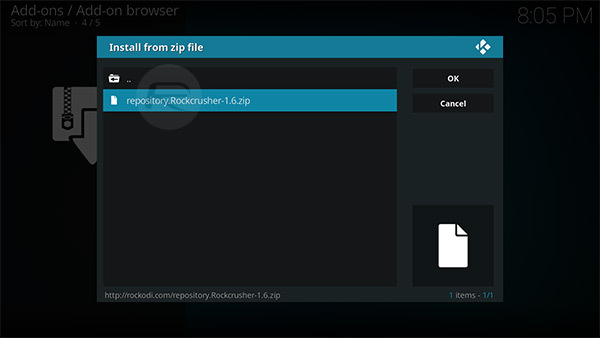 Step 4: Locate the Rock source that you just added and choose the repository.Rockcrusher-x.x.zip file. Note that the “x.x.” will be replaced with the current version number of that file. Step 5: You will get a notification to tell you that it has been installed. 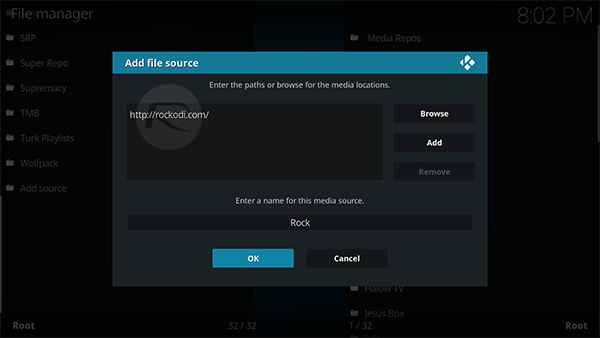 Now select the Install from repository option followed by selecting Rockcrusher Repository > Video add-ons and then choosing the X Games add-on. To install the package, simply hit the Install button. 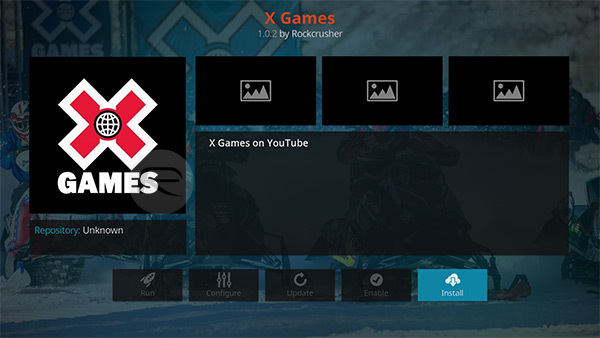 Once installed, you will have access to everything that the X Games add-on offers. You can find it in the main Add-ons section in Kodi.